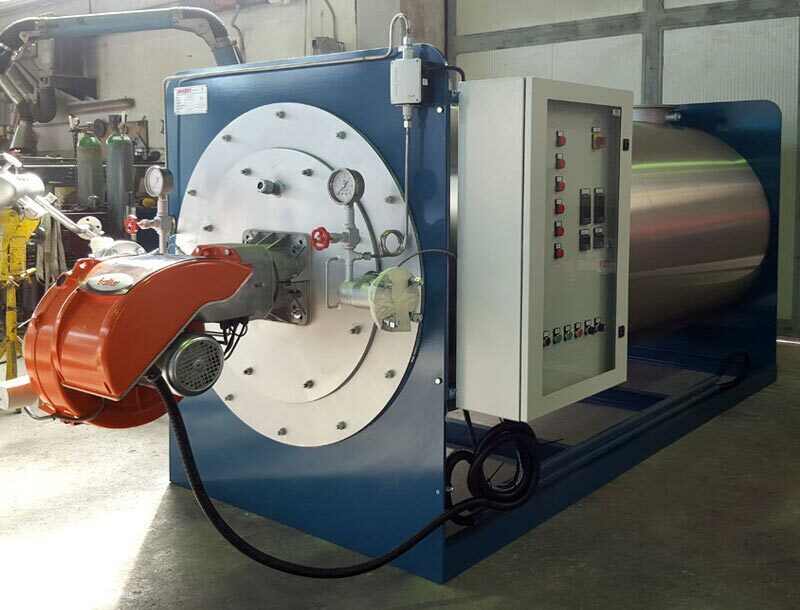 Vertical forced circulation steam boiler with 2 smoke passes and high efficiency.The internal coil is composed by two concentric coils made by P235GH steel pipe. 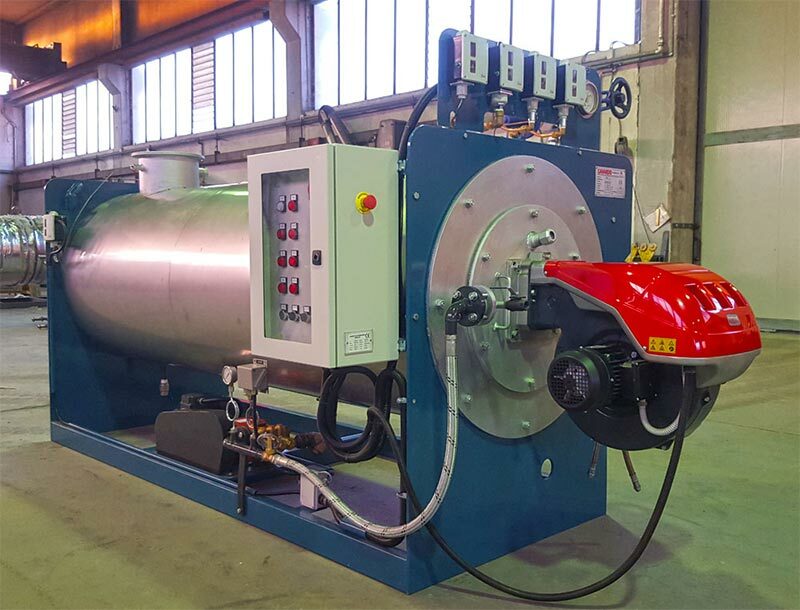 Horizontal forced circulation steam boiler with 3 smoke passes and high efficiency of 90%.The internal coil is composed by two concentric coils made by P235GH steel pipe. 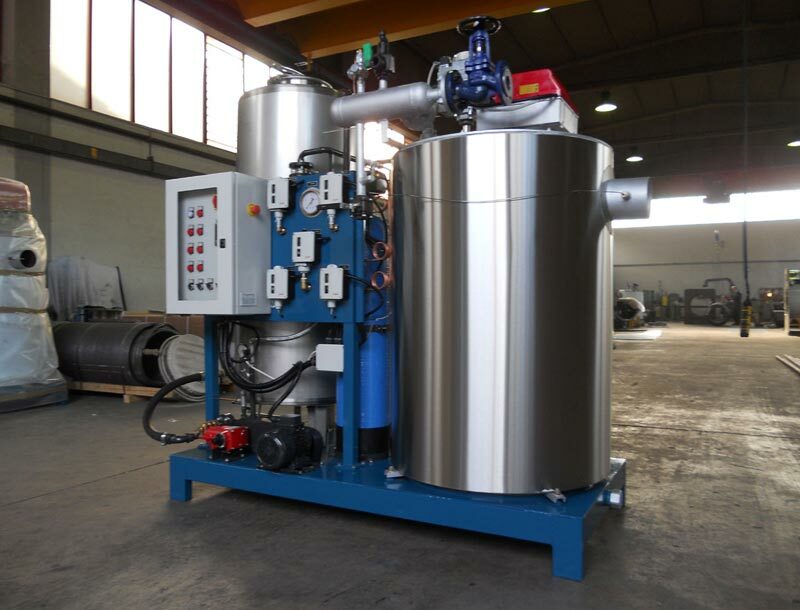 The coil is made of steel tubes P235GH consists of spiral coils in one or more principles to ensure the uniform heating and circulation of the fluid as a function of thermal power demand. 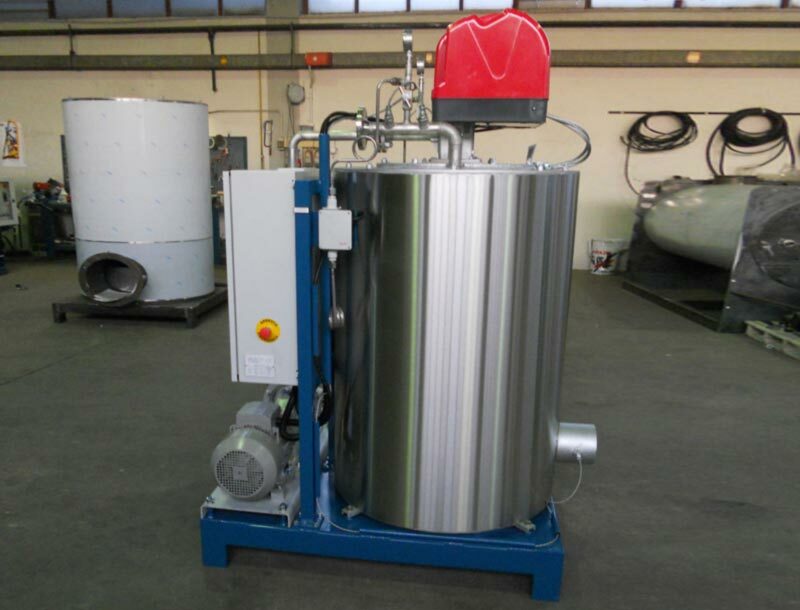 A proposal particularly effective for our customers is the preparation of THERMAL POWER PLANTS IN CONTAINER, a winning proposal to solve problems of space or location of the plants.